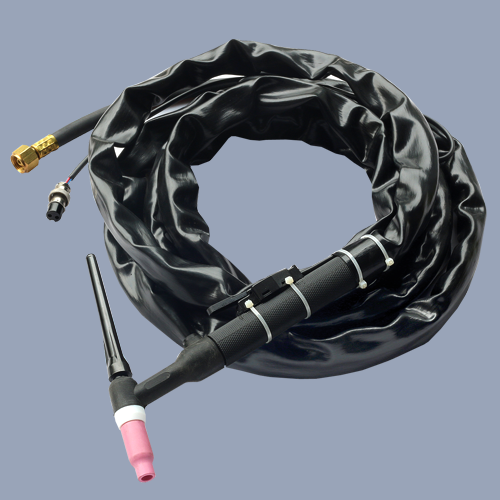 Air Cooled TIG Torch, rated 200 amps at 60% duty cycle. The Tig Torch 26V equipped with a value for gas flow control. This equipped with a gas valve and flexible head with comfortable knurled handle for a nan-slip sure grip and precise control. Copyright © 2011-12 Hind Medico Products All Rights Reserved.